I wanted to officially start the series by dedicating an episode on a very important topic that we often overlook in our daily lives: seeking mental health services. In the second episode, my friend, Jessica Hao, a medical student at Washington University at St. Louis, and I discuss the importance of seeking help when needed and what we can do to combat against the cultural stigma of mental health. Jessica Hao was born in Beijing, China and immigrated to Canada at age 6. After a whirlwind of adventures brought her back to Shanghai, China for her high school years, she went on to study psychology and linguistics at Princeton University, where a dashing Asian-American boy wooed her into marrying him and staying in the US. Her hobbies include open water swimming, triathlons, eating food to fuel the prior two things, and raising her two adorable puppies. She is now pursuing an MD and MPHS at Washington University in St. Louis and is hoping to go into a career in primary care medicine. JESSICA NGUYEN, HOST: Today’s podcast is brought to you by Audible. Get a free audiobook download, and 30 day free trial at Audibletrial.com/projectvoice. Over 180,000 titles to choose from for your iPhone, Android, Kindle, or MP3 player. NGUYEN: Hi, my name is Jessica, and welcome to Project Voice! And here I have Jessica Hao, she is currently a medical student working for her MD at Washington University in St. Louis. She’s a good friend of mine! Today, we are going to be talking about the importance of mental health, and it’s a really important topic that we don’t really discuss within our Asian American community because mental health are just discussions of- seeking out mental health services is often stigmatized, and not really being made aware of in our culture, and it’s not really commonly seen or commonly talked about and I thought it would be really interesting for many people, for us to just go over, the importance of it! And yeah! Thanks Jessica for coming in today to talk about this. JESSICA HAO, INTERVIEWEE: I’m glad to be here. So mental health is one of these things that like you said, is heavily stigmatized in our community, and I think it’s something that’s really important to talk about because it has a really significant impact on like, people’s quality of life, and honestly, mortality in our population. You know, if you look at what suicide rates look like among Asian Americans, they’re a lot higher than they should be, and a huge part of that can be attributable to the fact that people don’t seek out care. You know, people wait until it’s too far gone. And you kinda look back on that and you think, “Well what could we be doing better about it?” And so I think it’s really, really important. I mean, I’m generally not about raising awareness. Like, breast cancer awareness month kinda ticks me off a little bit, because at this point, who isn’t aware that breast cancer is a thing, and you should go get a mammography like you know, when your doctor recommends it at whatever age? But when it comes to mental health, we, Asian American community, I genuinely feel like it’s something nobody knows about, and nobody talks about. And so, that’s like the one kind of situation where I really feel like awareness is important. And we just don’t have that fundamental stepping stone yet in our community. So I’m glad you are like generating a venue in which to have this discussion. NGUYEN: Yeah, thanks, I’m glad, too. Yeah, I guess like, coming from my own personal experience, I actually [sought] therapy services once back when I was in college, and I was really hesitant about it; it took me months to finally, you know, have the courage to seek out help, and I think it’s just this internalized shame for seeking help and I think that’s commonly felt among others in our Asian community because when it’s seen, it’s looked down upon when we’re seeking out help from someone who’s out of our private sphere. Like it is expected in our culture to deal with our own problems, whether within the family or just with ourselves individually. And that can be quite negative because it leads us to repressing our emotions and not knowing how to express our frustrations in a healthy way, not knowing how to find the right outlets for us to relieve the tensions or repressed emotions, and yeah. Fun fact! Asian American women were second most likely to commit suicide in this country. And that’s a scary thing to know. HAO: Piggybacking off of that, like I feel like you kind of talk about the shame that goes along with seeking help outside of your private sphere. I think when I first started struggling and was kind of like coming to terms with needing help somewhere, but not being willing to like, talk to my family about it necessarily. I had this thought, but like, going to see a therapist is a white person thing. That’s what white people do. Like the stereotype is like the people, you know, every rich white person has a shrink. And like, something that is special privileged group of people do, and for the rest of us, like we’re just supposed to work through our problems. It just felt like it wasn’t our place, and it was like a smear on your cultural background to be like, “Oh, well I have these problems that are supposed to be white people problems, but I’m not a white person.” And I was really worried that I was going to be like- the reaction that I got, like, “Okay, white people seek mental health services. You need to just buck up and deal with your life.” You know, and that’s like one of those things, where honestly, it is just like complete cultural misunderstanding and some degree of racist rhetoric that is not okay in like any regard. And trying to break out of that box is hard, especially when your community just perpetuates it over and over again. 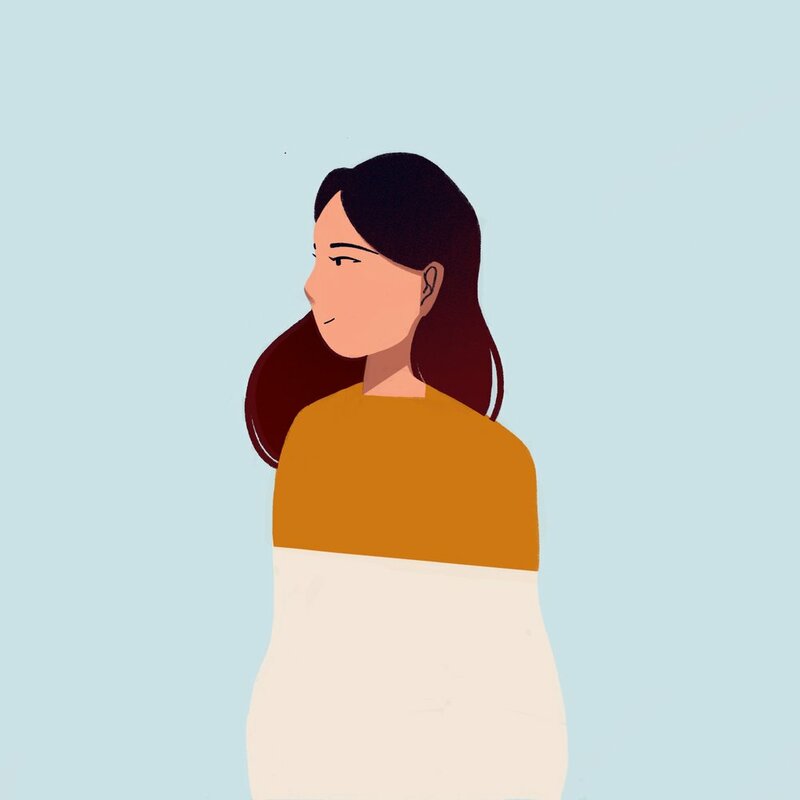 NGUYEN: Yeah, and there’s not a lot of representation, or just, a lot of people in our culture who are working in these services see a lot of white people as therapists, psychiatrists, but not a lot of Asian people work in these fields. And I think that’s an important matter as well because especially when you seek therapy; it takes at least five sessions, many sessions, to finally get a diagnosis from the therapist because it’s not just that you come in, the first or second time, and they’ll automatically prescribe you to do something because it’s very important to keep in mind where the patient’s coming from, what their background is like, and that includes their cultural background. And so I think it would help if there are therapists out there who share similar cultural backgrounds, who understand where the patient’s coming from, from that point of view so that better prescriptions can be- just like, better treatments can be made as well, and we see similar faces working in that area. We’ll feel more encouraged to seek services, and feel more comfortable doing so. HAO: Yeah, I definitely agree, and I think culturally competent care is becoming something that is more and more important in our world because it, you know, the world just keeps getting more and more diverse, at least the country does, and that’s one of the things that’s hard too because once you start seeking out care, like maybe for someone that shares the same cultural background as their therapist, it can take like you know four to six sessions or whatever just to kind of like figure out what’s going on, whereas if you come from a totally different background, it could take a lot longer or you might have to try a bunch of different therapists before you find one who’s like willing to work with you within the frame of reference that you use to understand the world, and so I definitely think that’s true. I think that the number of, you know, people of color in general working in psychiatric health is very low, and having sort of a lack of diversity in the field makes it really hard for people to take care of people who are different from them, especially since mental health is something that is so personal, and so like specific to each individual. So yeah, that whole idea of culturally competent care, getting more Asian faces in the world of mental health care is really, really important. HAO: I generally have a couple things. Like I think, you know like you said, that the self-care idea is really important, but on the other hand, I also feel like the most powerful change comes at a community-level. So if we’re talking in, you know, I kind of have a set of things that I think are more abstract, and a set of things that I think are more concrete. And like on the more abstract side of things, it’s this idea that there are kind of two things that you have to do, right? As a part of the Asian American community, I think we have to think about how we can better for our community, how can we create an environment within the community where everybody feels safe to come out and say, “Hey I’m struggling with this, or I need help with this?” And they feel supported by their people, lifted up and empowered. And so I think some part of that is education, some part of that is recognizing that the science of mental illness is- it’s being willing to have these conversations with people even though we may be uncomfortable, difficult, you know; it’s being willing to helpful and, kind of help lift up the entire community up. And on the other hand, there’s the self-care side of things, and things where we have to turn in and make sure that sometimes our community isn’t the most [unintelligible], sometimes it’s hard to find family or friends that relate to you, and in those moments you have to know where the right places to go to get the right kind of support you need is. And having that kind of awareness and being willing to make sure that you’re doing the right things to take care of yourself. I think it’s kind of a two-fold, like you know as a member of the community, and as an individual what I can do. I think the most concrete thing that people can do is to make sure that they’re going to their doctor every year for a checkup. And the first thing your doctor normally asks you is like some big vague open-ended question, like, “How are you doing?” And we’re kind of conditioned in our culture to say something like, “Oh, I’m good,” or like, “I’m fine. It’s okay, things are alright.” And I don’t- I want people to take that question seriously. I- You know, it seems to be a question that people blow off. On your way to the doctor, like, just sit down and think about how you would honestly answer that question. Like, are you having trouble sleeping? Do you have more anxiety recently? Is there something interfering with your ability to function at work, or with friends or with school or whatever? You know, have your moods been okay? Has your appetite been okay? Genuinely think about all of these things that are going on in your life that maybe you think nobody cares about but your doctor does. And you know, they can’t ask every single one of these questions of you, and so they ask you how you’re doing, and they don’t want to hear the default: “Oh, I’m fine.” They wanna know. So, I think the most important thing people can do is to answer that question honestly. Like having a genuine place to start that conversation will help, you know, the one person who is literally paid to take care of you, take care of you the right way and put you in contact with the right resources if what you’re going through is something they’re not qualified to deal with. So I think that’s probably the single most tangible, important action anybody can do to take care of themselves. NGUYEN: That’s a very good point, a point that I should take note, too! I guess what you said earlier about finding that support system, I mean if, or not being able to find that support system… So if you are someone who’s lucky, I do think it’s very important to tap into those networks. Personally I find that tapping into my family and friends who I’m very close with, and just being open and really in touch with my emotions, and really being honest about what I’m feeling, and letting them know. I think that’s my way of going against that traditional value of keeping things to ourselves, keeping a straight face, and passing that off as if it’s a problem. And for me, that’s a way to rebel, and by being open, it allows change to happen. With parents it can be really hard, especially like me growing up and not having the right relationship, but at times, I realize it just takes time sometimes to finally feel like, “Oh, okay we’ve reached- I think we’re at a good place now, I think it’s a good time to try and reconnect with them.” And see if they see me in a different way now and really see where I’m coming from now. Once they can, and they have, feel more comfortable sharing how I’m feeling and with friends; it’s a bit easier, like I find friends who are the same age as me, going through the same things or who’ve had similar past struggles like you know, it’s easier to form a niche or community with them, where we can just feel comfortable with voicing whatever we’re going through in a way that’s like creating our own safe spaces, creating safe spaces through people I find to be very effective as well, and highly encouraged if no one has done that before! HAO: Receptive to them. Like some parents you need to work on them a bit, then they kind of, they come around. And some parents never do, and I think it’s important in those situations to kind of keep in mind hat that’s not a judgement about your value or anything that you’ve done, like if you happen to be in a situation where the people around you are simply difficult, it’s not a reflection of who you are, it’s a reflection of who they are, not necessarily like anybody’s fault. I think it’s really important for people to recognize that and not feel like, “Oh I can’t get through,” and to get frustrated with that situation because at some point, it’s going to be better for your own mental health to just let it go. And that’s okay! And that’s where this whole constructing-your-own-safe-space becomes so valuable. Like having the ability to say, “I’m going to surround myself with people who are going to build me up, instead of break me down.” And I think just, you know like, not trying too hard to fight the world. If something is not working, let it go and if you find something that is working, hold on to it, and that’s usually a good way to kind of build the circles you run into and is something that is healthy for you. ‘Cause you should never feel like you’re struggling all the time amongst people [who] you consider to be friends, right? HAO: And I think that’s really valuable, just kind of picking the right people to be a part of your life, to contribute positively to your life. That’s just a really valuable thing that we should all be doing. HAO: I remember like reading the story, the origin story behind “To Write Love on Her Arms” and there’s this one line that Jamie Tworkowski wrote in there that was “between hurricane and harbor as both claim to save her.” And that quote was like, like the essence of who I- like what I was feeling at the time, and this pull of like- I could just let this madness take me and this could be all that I ever am or ever could be, or I could try and find help, but like what would that mean? And like both of these things felt, like really similar to me in terms of them being sort’ve like difficult and tragic and not entirely what I wanted, and both of these things claim to be a safe harbor and it was- it was just such a powerful moment of being like, “Wow,” like somebody else out there gets it, and there are thousands of other people who read this and feel the same way about it as me. There are people who read this and think, “This is me,” or you know, “This is my mother, or my friend, or my sibling, or you know, my child,” whatever it happens to be. And it was just like this big wonderful liberating moment being like, “You know what, like you’re not alone in this.” And that’s another thing that I really hope people take away from podcasts like this. And like- we live in a different world, meaning Asian Americans. We do because of, we like- very unique pressures that we face in our everyday lives from within our in-group, and from the outside world. And there are a lot of very specific obstacles that we have to overcome in taking care of ourselves. But we share that, and there are other people who have these same experiences as you. Not enough people talk about it. But you know, the hope is that if one person talks about it, it’s enough to make you realize that there are hundreds of thousands that feel the same way. NGUYEN: Yeah, I totally can relate to that. I- as many of our listeners probably can, too. Besides blogging, back in my - way back, back in my MySpace days, I also am an avid Youtube fan, just like I would constantly follow a lot of different people on Youtube, you know, same faces as mine, not afraid to share their vulnerabilities online, who are just not afraid to allow [themselves] to show their struggles to others, to thousands and thousands of people. That’s- I think that’s a very courageous thing for them to do because showing our vulnerabilities is highly looked down upon in our culture nowadays. It’s just expected of us to toughen up and you know get through the adversities as if we’re these robots who are unfeeling and who can do whatever and can get through perfectly fine, when in reality on the inside we’re not perfectly fine. And technology I find- like technology helps allow break down that barrier for us, like it allows us to be more comfortable sharing our flaws and encourage us to reach out to others who are struggling too, and be aware of like, the fact that there are so many other people who are going through the same adversities. HAO: You know, being willing to like accept limitations and all these things. And it’s- you know I think one of the things that’s hardest about mental health care, it’s not like, it’s not like you can be given a pill and then it all gets better, like it’s work. It’s work to be mentally healthy. It takes like some amount of foresight and you know, a plan usually and if you want to succeed at it, it’s another one of those things where you have to be willing to accept that, that it’s not like, “Oh, I’m gonna take a mental health day and then I will be good forever.” It’s like no, like that’s not how it works. And so just recognizing that it’s a process and you know, being okay with that idea I think is really important. HAO: The world is kind of rough right now. No, I definitely agree and I think one of the best pieces of advice that I’ve ever gotten and I’m terrible, terrible at following is to not have feelings about your feelings. Right? ‘Cause it’s really easy to like, get sad, and be angry with yourself with being sad, and like, you get into this cycle of negativity where you’re like, “Ugh, like I feel this way and I don’t want to feel this way and it’s terrible.” And sometimes you just gotta be like, “I’m sad, like let me eat some cookies and watch a movie. And I’ll be better later. And that’s okay, like you know, I think the worse cycle you can get yourself into is when you have feelings about your feelings, ‘cause then it’s endless. And just you know, being willing to accept like, “This is where I am right now. Let’s start where you are, not where you wanna be,” you know? NGUYEN: Sometimes it’s- it’s great to be sad. Like I like being sad, and that feeling after being sad, like just letting it all out is very cathartic. HAO: Mhm. And it’s just a part of being human; that’s what it means to be human. To live is not to be happy all the time. HAO: And at the same time I think it’s also important to like, be self-aware about what your feelings mean, because there is- like you know it’s natural to be emotional, right? It’s natural to be sad sometimes and angry sometimes and happy sometimes. But there is also a point at which it’s no longer a normal thing. And having the ability to recognize that is important. Like if you’re sad everyday all the time, for like weeks on end, you need to go see somebody. It’s not just like, “Oh, I’m just feeling down,” like no, you’re not just feeling down. There’s something bigger to it if that’s what’s going on. And having the recognition of being able to tell like, “Okay, like today’s the kind of day where I’m feeling down and what I should do is kind of, you know, hang out in my room and not push myself to hard,” versus, “Today, I’m feeling bad and maybe I should call my doctor or my psychiatrist, or my psychologist,” and like you know, maybe figure out if there’s something that we should be doing differently. Like having a kind of awareness of that is really important. And I’ll be the first to admit that like I have terrible awareness with this kind of thing, and it’s, it’s really hard when we’re in an emotional state, I think, to accurately judge what it means. And so I’m lucky enough to have people in my life who know how to do that for me. You know, I’m married to somebody who has a very good sense of the different between a normal bad mood and a bad mood that is like, very much a part of my disease. And having someone who is able to make that distinction for you when you can’t can be really valuable, and just having the recognition of like what difference between those two things is, is really important because I don’t want to normalize like, all feelings, there are definitely some feelings that are pathological. And being able to recognize that is going to be important to being able to find help. So, there’s like an interesting line to walk there. NGUYEN: Yeah, that’s really interesting. Personally, I love just taking time to myself and reflect, and you know, like going- just adding on to what you were saying earlier about being aware of what you’re feeling, like every now and then, if I’m going through something, like I think to myself, “Why am I feeling sad?” Like, “What is the root cause of this?” Like sometimes there are these walls of denial that I- like sometimes it takes me awhile to like recognize that the truth can be ugly. And that’s okay! It’s- we’re all human! And yeah, I just wanted to add that. But, thank you so much for sharing all, all of that. That was amazing, I am so happy that I invited you to come and talk on this podcast. That was great. And I look forward to sharing this to everybody who’s [listening] out there. HAO: Yeah, me too! Thank you for having me. NGUYEN: Yeah! If you guys have anything else you’d like to share, please tweet me at @projectvoiceaaw. You can also email me at projectvoiceaaw@gmail.com. I hope you have a wonderful day. Take care! This is like- just reflect what we’ve said! And yeah, that is all. Bye!